'Current emissions would lead to loss of two-thirds of glaciers by 2100' - Integration Through Media ....! 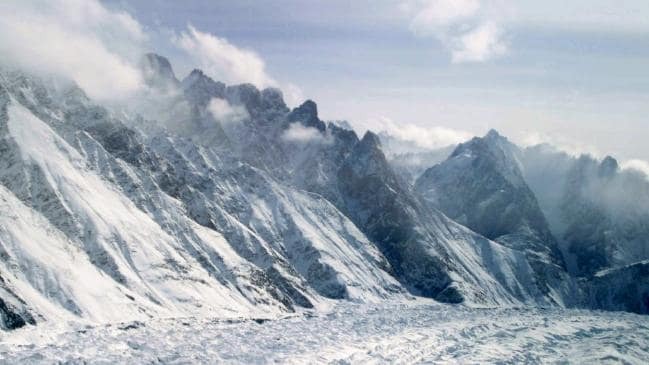 KATHMANDU: A new study report warns that current emissions would lead to five degrees in warming and a loss of two-thirds of the region’s glaciers by 2100 if global climate efforts fail. “This is the climate crisis you haven’t heard of,” said Philippus Wester of the International Centre for Integrated Mountain Development (ICIMOD), who led the comprehensive new study report of the Hindu Kush Himalaya (HKH) region. Westar further said that its impacts on people in the region, already one of the world’s most fragile and hazard-prone mountain regions, will range from worsened air pollution to an increase in extreme weather events. But it’s the projected reductions in pre-monsoon river flows and changes in the monsoon that will hit hardest, throwing urban water systems and food and energy production off kilter. The report also calls for great recognition of mountain areas and the HKH region in global climate efforts. The ICIMOD had initiated to prepare the report and was released amid a function in the capital on Monday.